Remember printed newsletters—those antiquated publications that used to inform you about all the current happenings and long-ago history from a place or an organization? In the past, many of our national parks had weekly or monthly newsletters. In the case of Yosemite, the publication was titled Nature Notes, and it ran from 1922 to 1961. Although Nature Notes often featured the alluring images of landscape and travel photographer Ansel Adams on its covers, far from the glossy shots and ad copy found in most brochures today, each issue of Nature Notes was a mix of illustrations, science articles and poetry. Yosemite’s newsletter (which evolved in later years into a pamphlet) not only allowed travelers at the time to experience the park more deeply, today in retrospect it holds an interesting historical record of our changing attitudes in how we believe our parks should be managed and how to responsibly visit them. Nature Notes documents our emerging realization that feeding wildlife and hunting predators are unwise practices that should be and were, thankfully, stopped. In 1961, after 400 issues, Nature Notes was discontinued, a victim of budget cuts and lack of funds for printing. But that isn’t the end of this publication’s story. In 2008, Nature Notes came back as a Web series, in a new format that was far less expensive to distribute. 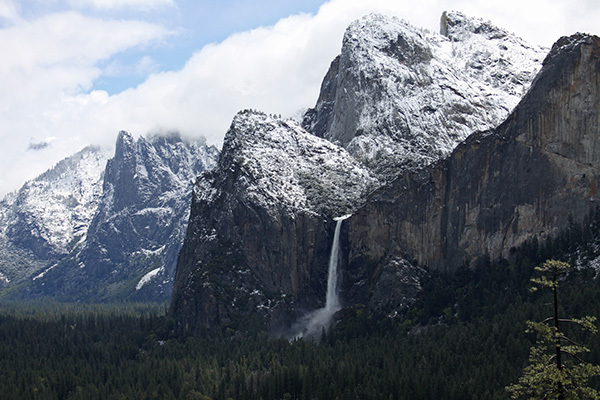 Watch the short video below on the history of Yosemite National Park’s Nature Notes. While I’m happy to see this periodical revived, I doubt that many of us will tend to keep these electronic versions in the way that we would shelve or box away the printed versions. There’s still something about the physicalness of turning pages that never gets old. Thanks Candice….how can we see the ‘Web series’? The snaps are really good….this summer I am visitng the USA and hope to be in the Yosemite National Park!